A review of 12 Rules For Life: An Antidote to Chaos, by Jordan B Peterson, Random House Canada (January 23, 2018) 409 pages, and Lost Connections: Uncovering the Real Causes of Depression – and the Unexpected Solutions by Johann Hari, Bloomsbury USA (January 23, 2018) 336 pages. Two recent and highly influential books have both addressed a puzzling question: despite unprecedented levels of material wealth, why are so many people in the modern world still so anxious and depressed? For Canadian clinical psychologist / intellectual celebrity, Jordan B. Peterson, the issue lies primarily within individuals themselves. His book 12 Rules for Life argues that many people, especially young men, lack meaning, purpose and connection because they have not taken on enough personal responsibility for their own lives. In contrast, Johann Hari, a British journalist and author, places the fault for rising levels of depression and anxiety upon the much broader shoulders of dysfunctional modern societal norms and institutions. People are miserable, he argues in his book Lost Connections, because the dominant culture in the West emphasises ‘junk values’, fails to provide meaningful work, disconnects us from supportive communities, and cuts us off from the natural world. While these two perspectives are not necessarily contradictory, they markedly diverge when it comes to potential interventions. Whereas Peterson generally thinks that solutions to social problems will emerge from individuals taking on more personal responsibility, Hari thinks solutions to individual suffering will emerge from changing the structure of society. They arrive at such opposing conclusions largely because they each emphasise different higher human psychological needs. ‘Self-determination theory’ posits that humans have three such innate needs, which must be satisfied if they are to grow and prosper. These are competence – the ability to control outcomes affecting one’s life, autonomy – experiencing oneself as a causal agent, and relatedness – the need for interpersonal attachments. Through this theoretical lens, it appears that Peterson’s primary focus is on the psychological need for competence and autonomy, while Hari’s is on the need for relatedness. Their books can thus be read as accounts of the negative social consequences that result when either of these distinct needs go chronically unmet. In many ways their insights are mutually supportive, especially on the toxic nature of loneliness, a paradoxical problem plaguing our hyper-connected age. Both authors also accept that biological causes can sometimes overpower an individual’s conscious will, rendering them a helpless victim of disease or dysfunction. Undoubtedly, as our understanding of neurobiology improves, many people currently deemed morally responsible for their actions will justifiably be excused as passive victims of their faulty biochemistry. Despite these commonalities, important intellectual fault lines exist between Peterson and Hari’s accounts. The first concerns the nature of personal ‘character’ and the necessity of suffering for personal growth. A core thread running through Peterson’s work is that a person’s moral character, cashed out in terms of their core values, traits and habits, is hugely consequential for their life outcomes. Furthermore, such moral character is something that can be cultivated over time by individuals through conscious, deliberate effort. Peterson’s infectious optimism about the potential for individuals to transform their own lives has driven much of his extraordinary appeal. He thoroughly rejects any form of social determinism that renders human beings as driftwood floating on the ocean of an amorphous ‘culture,’ a view most influentially critiqued by psychologist Steven Pinker as the ‘blank slate’. Peterson articulates a necessary correction to this dehumanising view: self-control and self-discipline are real phenomena with genuine causal potency. Peterson depicts our lived experience as filled with thousands of real choices, each one of which has the potential to bring our lives closer either to a figurative heaven or hell. Peterson’s vivid examples illustrate how those who chronically lie, or are consumed by resentment or envy, systematically create the conditions for their own personal torment. On the flipside, those with positive character traits and habits can find themselves in a ‘virtuous cycle’ where opportunities for personal flourishing open up to them at an exponential rate. For Peterson, this positive cycle is driven by a belief that we can improve our personalities, with some guidance and some hard bloody work. This motivates us to enact the painful but necessary ritual of burning off the ‘dead wood’ of our false beliefs and harmful habits. Peterson’s account dovetails nicely with the extensive psychological literature on resilience. This work suggests that if a person has an ‘internal locus of control’, that is, if they attribute their success or failure to their own efforts and abilities, they tend to experience less anxiety and perform better. It also appears that such an attitude can be fostered by changing your ‘explanatory style’, for example by shifting away from ‘global’ explanations for your behaviour (‘I’m a terrible person’) towards specific ones (‘I have this one bad habit’). This underpins Peterson’s injunctions to fix yourself one small step at a time. He’s acutely aware of how difficult it is to change our deeply ingrained habits, and that our only hope is to attack them in an incremental fashion. This kind of old-fashioned ‘sort yourself out’ hard talk couldn’t be further from the tone set by Johann Hari in his exploration of depression and anxiety. Trained in sociology, his focus is on the systemic, cultural forces that render us powerless, alone and miserable. He appears to elide any causal role for ‘poor character’ leading to individuals’ bad life outcomes. Hari tends to avoid the question of whether people can improve their lives via conscious, effortful self-reflection. His selection of case studies and his analyses of them generally assume that people are stuck with their lot in life, thanks to the oppressive systems that control them. The conclusion follows that people’s lives can often only be improved by collective coordination with others. For Hari, the ‘locus of control’ is found far outside the individual mind, closer to the centre of gravity of the entire society. What follows from this is a lack of any justification for individuals feeling personal shame for the outcomes of their lives. This leads him at one point to suggest eliminating all forms of advertising that make us feel bad about ourselves. To see why this sweeping call to free us all from publicly visible shame-triggers is misguided, we need to return to Peterson’s account of the process of personal growth, which not only admits a role for shame, but a necessary one. Building on the work of depth psychologists like Carl Jung, Peterson argues that well-functioning human adult beings must hold themselves accountable to objective moral standards. They ask difficult questions of themselves that demand clear responses. What constitutes a healthy and attractive body? What does it mean to be financially secure? Why doesn’t Sarah want to go out with me? The feeling of shame is a natural response to falling short of a standard that we reflectively endorse. While some of these standards might genuinely be irrational or unhealthy (the heroin chic trend in the 90s comes to mind), for the most part, it is not our ideals that are in error. Advertisements are effective often because they remind us of how we’re genuinely falling short of our ideal selves. To ban them outright would therefore be to admit that we cannot cope with acknowledging our imperfections. It would be to abdicate one of the many challenges of adulthood: being able to calmly assess and act upon our own shortcomings, while side-stepping the abyss of an irrational shame-spiral. Throughout Lost Connections, Hari routinely fails to acknowledge a role for legitimate suffering. This is most apparent in his description of how his friend Rachel overcame her persistent and debilitating feelings of envy. She achieved this transformation by practicing loving kindness meditation, which led her to feel vicarious joy whenever she noticed someone else’s success. Now there is nothing wrong per se with cultivating more positive feelings towards the success of others – it’s certainly a step up from being constantly envious and miserable. But in attempting to expunge all such negative feelings, Rachel risks throwing the baby out with bathwater, in the following sense. Envy, in its malicious form, is driven by a perception that someone enjoys a good that you desire and lack, coupled with the belief that you could never achieve that good if you applied yourself. For example, I don’t feel envious of my friend who’s just bought a beer if I have $5 and am waiting next in line at the bar. I know that in a few moments, with minimal effort on my part, I’ll be enjoying the very same good. But if that same friend scores a lucrative book deal, and that’s an achievement I’ve always wanted for myself, and I’m deeply pessimistic it will ever actually happen for me – then I’ve landed squarely in envy territory. To be envious thus requires at some level a fixed mindset about your own abilities and character. Hobbled by this self-imposed limitation, the only way to achieve higher status in the eyes of those you respect is to drag others down to your level. This is what makes envy an intrinsically toxic emotion. The same does not hold however for mere feelings of disappointment, sadness or even shame upon seeing someone else succeed. This means that the solution to Rachel’s envy was not to feel only positive emotions whenever confronted with other people’s successes. This would only serve to mask her genuinely informative feelings of inadequacy; necessary launching pads for any positive changes to either her habits or goals. What Rachel really needed was to improve her ability to tolerate shame, and a more optimistic vision of her own capacities to improve her life with concerted, conscious effort. One of Hari’s central claims is that individuals are chronically baulked in their attempts to improve their situation, by prevailing modes of social organisation. Crucial to this story is the idea that the hierarchical structures ubiquitous in corporations and government are essentially arbitrary, and that therefore the inequality they engender is avoidable. According to Hari, “we can find practical ways to dismantle hierarchies and create a more equal place, where everybody feels they have a measure of respect and status”. He discusses a democratically-run bicycle store in Baltimore as a living example of this kind of transformation. Its workers had previously been fed up working in hierarchical companies, taking orders from bosses who weren’t pulling their own weight. Following the transition, they reported feeling far more satisfaction from their enhanced autonomy. This fits nicely within the empirical literature Hari cites showing that a perceived lack of control in the workplace contributes greatly to stress and depression. Hari’s implication however that this might be a solution writ large across our societies is misguided in the extreme. Democratically governed workplaces make sense only given a highly restrictive set of conditions. The main one is that each of the workers can perform any of the company tasks. This was the case at the bike store, where any team member could fix a bike, ring up a sale, or order in some new inner tubes. It is not the case in almost every large corporation. Indeed the whole point of modern complex corporations is that they successfully coordinate the behaviour of individuals who have vastly different, specialised skillsets. This is why democratic workplaces, in almost all cases, cannot outperform hierarchical ones, in which workers are selected and given tasks based on their particular interests and skills. Thus the lack of democratic workplaces today, despite the fact that entrepreneurs have been free to start them for centuries. Contrary to this conventional wisdom, Hari cites a Cornell study that apparently found that businesses closer to the democratic model grew on average four times more than the others. This is a misleading description of what the study actually found: that businesses that granted more autonomy to their workers (as opposed to highly specific top-down direction) grew faster. Here ‘autonomy’ meant the freedom to decide how their work was to be done, as well as ownership and accountability for the outcomes of the work. This is vastly different from democratically deciding how the company should be run. Crucially, workers were still assigned goals in a hierarchical manner – they were just given greater freedom as to how they achieved those goals. Peterson has no patience for claims that our modern hierarchies are arbitrary manifestations of capitalist ideology. 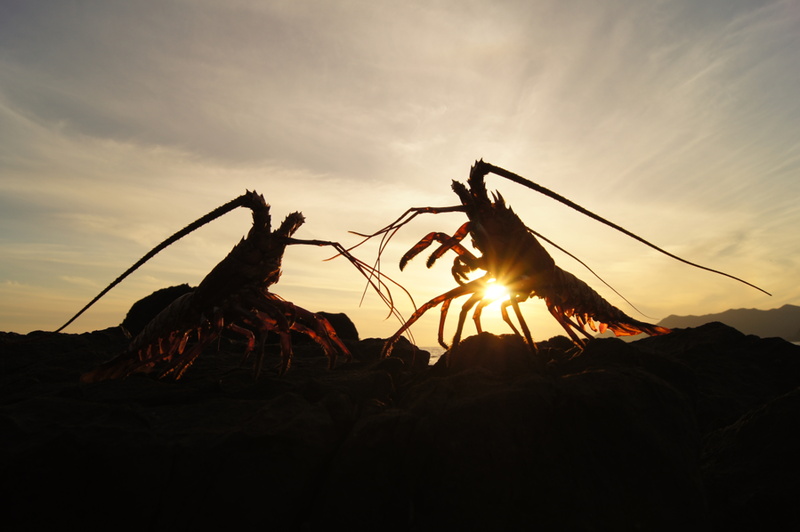 He points that we humans share a similar biochemical basis for tracking hierarchical social status as lobsters, indicating that our propensity to form ‘dominance’ or ‘competence’ hierarchies has a deep evolutionary basis. For Peterson then, to the extent that hierarchies are genuinely meritocratic, dismantling them is the last thing we should be doing. But this still leaves the troublesome problem of vast economic inequality. While Peterson sees this as a major issue, he does not think economic redistribution is a panacea. This is because what matters most to him is not the relative difference in wealth between individuals, but the blunt fact that a growing percentage of individuals at the bottom of the ladder simply cannot contribute value to the economy. His concern is that the innate psychological drive felt by members of this cohort of humanity to actually be of value to their community will not be satisfied by simply giving them more money or resources. It may assist them to some degree, but it won’t solve the fundamental problem. On this view, it is continuously necessary to improve the competence of individual human beings. Broadly speaking, this can be done in three main ways. Firstly, providing better mentorship to people to develop marketable skills, either via formal education or practical training. Secondly, by assisting people to consciously develop better patterns of thought and behaviour, using the best insights of psychological science. This is Peterson’s primary project. And finally, and most controversially, the development of technologies that can overcome any genetically determined restrictions on intelligence or good character. The last intervention is by far the most controversial, and least scientifically understood. The notion of enhancing human performance via biological intervention is being investigated by many prominent scientists and technologists. See for example a recent overview of the state of the art by neuroscientist Richard Haier in his book The Neuroscience of Intelligence, or explorations of the ethical implications of human enhancement by philosophers like Julian Savulescu. This approach finds its ultimate expression in the transhumanist movement, which is dedicated to the indefinite improvement of human nature via technological advancement. Eventually we’ll arrive at what Ray Kurzweil calls ‘the Singularity’, where human consciousness is transferred onto a non-biological substrate, enabling us to finally escape the sub-optimal neurological compromises resulting from the haphazard process of random mutation and natural selection. No doubt Hari would find such a focus on enhancing individual competence and autonomy to be at best distracting, and at worst, disabling, of the social and political transformations required to cure our suffering. But what Peterson’s critique shows is that far from being independent psychological dimensions, our ability to successfully relate to others requires cultivating our individual competences – be they physical, emotional, or cognitive. We must therefore be wary of social or political arrangements that offer us equality of status, without the corresponding burden of self-reflection and improvement. Hari offers communal salvation for lonely angels. Peterson issues a challenge to cortically-enhanced lobsters: you’re not all you could be, Bucko! In other words, they’re both appealing to human beings, and their messages are resonating. Oliver Waters is a Melbourne-based writer, with degrees in law, science and philosophy. Follow him on Twitter @olliewaters. Oliver Waters is a Melbourne-based writer, with degrees in law, science and philosophy. Guilt and shame are the only drivers on a society that seems to have any effect on improving its moral worth. The problem lies in the agreement on what the fundamental morals of a society are. At this time in our history there is no agreement and no sign of one in the future. Someone can have fulfilled their needs for competence, autonomy and ‘relatedness’ and still be harmful to the community; perhaps moreso than if they had not. Without the kind of community bound by values that are more than ‘junk’, the individual itself is toxic, and nothing related to the self can ever make good. Put me in the Peterson camp. When I think back to the poverty stricken, dysfunctional, alcoholic environment I was born into and overcame, I shudder to imagine how I might be today had I waited for someone else to dismantle whatever societal structures they thought would keep me down in the pits. Apparently, being too naïve to know any better, I just started working on things myself. I think there is no other camp than the Peterson camp. There are none of us without issues and it is our job in life to fix our own issues, not look to others to fix them for us. We seem far more interested in what celebrities are doing with their lives than what we are doing with our own! The psychologist sees individual action as the best way for finding a better life. The sociologist thinks we should look toward society itself. Go figure. Peterson’s thesis is that society is imperfect and unfair, and we should improve it, but individuals struggle to have power, even over themselves, so we should concentrate on fixing ourselves, and in so doing we will inevitably make society a little better. Small wonder that the American bets on the person, the European on social structure. North America is cowboy land, with many movies to romanticize this lifestyle (whether it really existed so, becomes then less important). In Europe, our dairy and cattle farmers have very little freedom to act and enterprise, society and city laws determine the scale and type and style of farming, and the psychology and conduct of the persons behind just simply follow. You have not the slightest sliver of an idea how CANADA’s farming industry works; yes Canada, not USA… It is beside the point to explain this or the stark difference between Alberta cattle farming and Ontario diary farming here. I wonder how can one seriously believe that a thinker’s origin inherently determines his/her principal position. There are many people who judge a book by the cover, but yet there seem to be a few who believe they can do so by looking at the cardinal direction of the shelf in the bookstore it sits on. Seriously, according to such ‘prediction’, both books discussed here would have to be identical since they are written in the same language. I was not talking about canadian cattle farmers now Chris, but about a difference in culture and psychology due to history, the history of the new world with its western frontier as against that of the old world, where culture and politics are much less individualistic and free style than in our world (Rheinland model). I see the cowboy mentality also very nicely reflected in Trump, as also in the fact that he got elected there. But, of course, you are right, it is not the whole story, but maybe not an unimportant background. -First do not act- is another Western European recipe that’s different, don,t be too quick with medicines and treatments. > Some non-trivial context: Hari was exposed as an appalling plagiarist and sockpuppet (among other sins) some while back. He has yet to apologise to many of his victims. His current work comes down heavily and erroneously – and therefore potentially dangerously – against anti-depressant medications. All of this has been heavily detailed by @JeremyDuns – search Twitter or Jeremy’s site. A major recent study condemned his ill-informed opinion on the matter to the dustbin where it should have stayed. Jordan Peterson, by contrast, is a considerably more serious piece of work. Yes. Hari is also a liar. That is not to say that he is incapable of redeeming himself but I think he must be approached with the utmost caution. Education definitely could use a change. More individuals like Peterson could help. I’ve listened to him so much it’s just repetition now. Other researchers could get at things from different angles. An up to date psychologist coming from a background, not of the existential crisis of the cold war, but from more ancient thought like Aristotle or Aquinas would be of great help, in addition to JP. Or just a philosopher of this kind, but who can popularize ancient thought as against Modern decadence, somewhat like what Camille Paglia recommends. Unfortunately while philosophy departments (analytic) have been wonderfully immune to SJW ideology they are focused on minutiae and have brought themselves to the brink of complete irrelevance. Transhumanism? It shares a a stance on human nature with school shooters that’s false. That same assumption, that there is no fixed essence to human nature (to THINK, like Aristotle says, to SEARCH for the laws of the cosmos moral or natural), means that the social contract is just contingent, which means instead of criticizing it relative to a necessary ideal of the kingdom of heaven, blueprints for which are in the divine image listened to as one’s imperfect conscience in every situation, instead it’s left to the individual to criticize society according to his own (unmet) desires. So you get soyboys like Hari. And then the particularly anti-social ones become school shooters. No objective human nature, because no metaphysical realm? Great, then no free will, objective morality or meaning, and instead a constructionist idea of personhood and politics. The difference between Pinker and a school shooter is that the former was more blessed in traits IQ and conscientiousness. But they are both nihilists like this in the end. Just like the SJW, transhumanists want to makeover humanity, but vastly underestimate the ancient solidity of our nature. Once I read Soyboy, I knew I was dealing with a basement-dwelling loser who will be bred out of existence. That’s you Joshua Finch I’m talking about. Peterson also highlights one very important and almost always ignored point: one eighth of the US population has an IQ less than 85. That breaks down roughly to 40 million people. According to the somewhat arbitrary US poverty rate, there were 43 million Americans below the official poverty line. Of course I’m not claiming direct causality, but that is an interesting coincidence, particularly given the data that IQ is the number one strongest predictor for income later in life. The left generally believes in the blank slate and treats the well established IQ literature much how the medieval church treated heliocentric astronomy. The right generally believes that there is a job for everyone, and if you just work hard enough, you will be successful. Both sides ignore the fact that in modern Western technological societies, there are very few jobs that can be competently performed with an IQ much below 85, and probably the most abundant one is driver (trucking, uber, etc) which is likely to be drastically eliminated in the coming decades. The US Army, not known for the most restrictive admissions policy, will not accept applicants with an IQ below 83. What are these some 40 million people to do, many of whom are highly conscientious, who want to work and contribute, but will have very few possibilities to do so? How will many of them respond? Is this a recipe for a harmonious society, or for a society full of resentment, meaninglessness, and a powder keg ready to explode? Peterson also highlights one very important and almost always ignored point: one eighth of the US population has an IQ less than 85. Is that figure different for other countries? Because as far as I am aware a normal distribution holds true for any population. Different countries have average IQs which are not 100, however that is taboo and therefore i will not discuss it here. Actually, Peterson entirely accepts that most people put the highest value on interpersonal relationships, himself included. But he makes the obvious points that competent people are sought out by others, because they are competent, while incompetent people are, if not actively avoided, then at least not sought out. As for autonomy – who wants interpersonal relationships thrust upon him ? You want autonomy to choose the interpersonal relationships that suit you. There’s no conflict between the psychological needs for competence, autonomy and relatedness. They are complementary. Success at one will help you succeed in the others. And failure thusly. It seems to me that the distinction between Peterson’s message and Hari’s can be summed up in this way : Peterson’s message is directed at adults, and those who would become aduts, and Hari’s at children, and those who wish to stay that way. The ideas of Hari and Peterson seem to be positioned at two distinct poles: society and the individual. But what about subgroups within society? We are not strictly self-responsible beings, even as an increasingly amoral society pushes us toward atomization and autonomy. We do not operate outside the realms of family and other identities such as class and ethnicity. These are critical areas of reciprocal support for the individual and his society, and they have everything to do with meaning, purpose and connection. Are these “intermediate” levels taken for granted in the worldview of these authors? I see limited good where the philosophical emphasis is restricted to the binary of individual and society. The social arrangements in between are just as important. A slight twist on the difference between these two approaches. Petersen’s focus is on the betterment of ones self despite the reality of a world full of injustice and suffering. Hari’s focus is on making the world less full of suffering and more fair so that individuals have an easier time of it. These are not mutually exclusive, at least in their moderate forms, but bring in the concept of locus of control. I am a person with a finite lifespan an very finite influence. What is more likely to help me live a fulfilling life? Focusing on improving myself or changing the social structure of the world? Not hard to see what the effort vs reward profile is there. I have a reasonable amount of control over my actions and very little control over the rest of the world. Also interestingly, because the two approaches are not mutually exclusive, people who are capable and disciplined have a much better chance of actually changing the world for the better. Next PostDoes Religion Impede Economic Development?